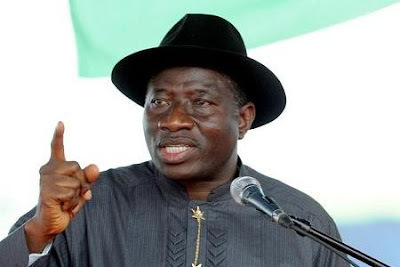 The Borno State Government has challenged former President Goodluck Jonathan to release the findings of his committee set up to investigate the abduction of Chibok schoolgirls in April 2014. Kubo, who was one of those interrogated by Jonathan’s Fact-Finding Committee on Chibok Schoolgirls Abduction, was reacting to a statement by a media aide to President Goodluck Jonathan, Ikechukwu Eze. Eze, in an earlier statement, had asked Governor Kashim Shettima to tell Nigerians whatever he knew regarding the April 14, 2014 abduction of over 200 schoolgirls by Boko Haram after the sect attacked Government Secondary School, Chibok. But Kubo said, “Rather than direct spurious allegations to Governor Shettima on controversies surrounding the abduction of Chibok schoolgirls, the media aide should ask his principal, President Goodluck Jonathan, why he deliberately concealed (the) report of a presidential fact-finding committee he constituted and inaugurated on Tuesday, May 6, 2014 and which submitted the report of its findings to him on Friday, June 20, 2014. “For the purpose of records, Eze and his colleagues are pointing towards the wrong direction; they should ask their principal, Jonathan, why he deliberately refused to make public the report of a committee he constituted, inaugurated and received their findings on facts surrounding the Chibok abduction and who is to blame for it. » "Why Online Forex Trading Is A Fraud. My Findings"